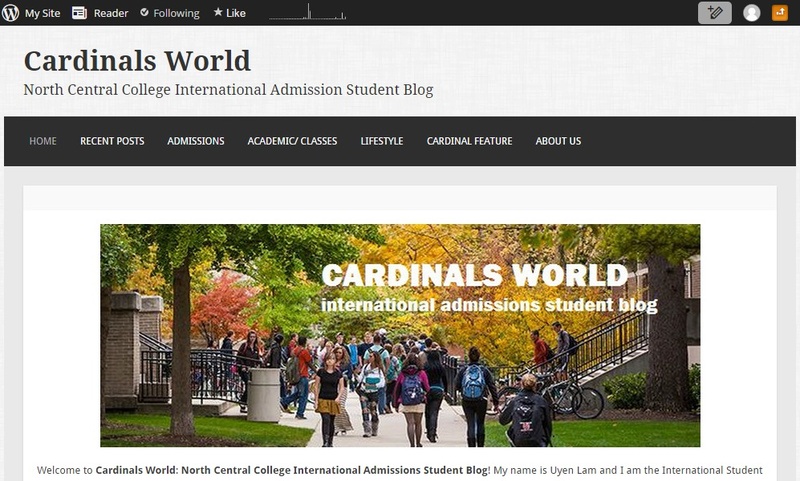 What To Do If You Can’t Visit North Central’s Campus? The New York Times says that “the campus visit is one of the most important and enjoyable parts of the college application process.” However, not all international students have the opportunity to visit the USA and tour schools, so what can you do? Luckily, we live in an incredibly interconnected world with the help of the internet! Although you will be less able to experience the “gut feeling” that tells you if a school is ‘right’ for you, there are numerous other options that you can take advantage of to learn more about a school of your choice… from the comfort of home. Let’s see what the options are for North Central College! 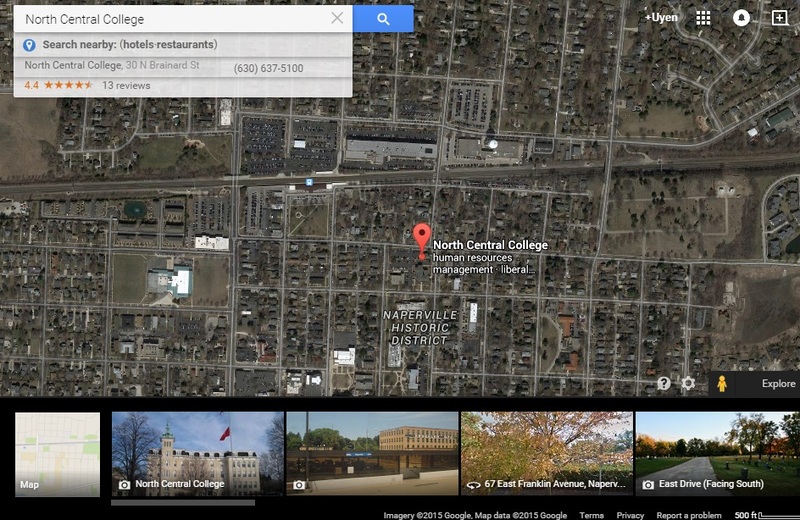 This is an interactive map of the campus. 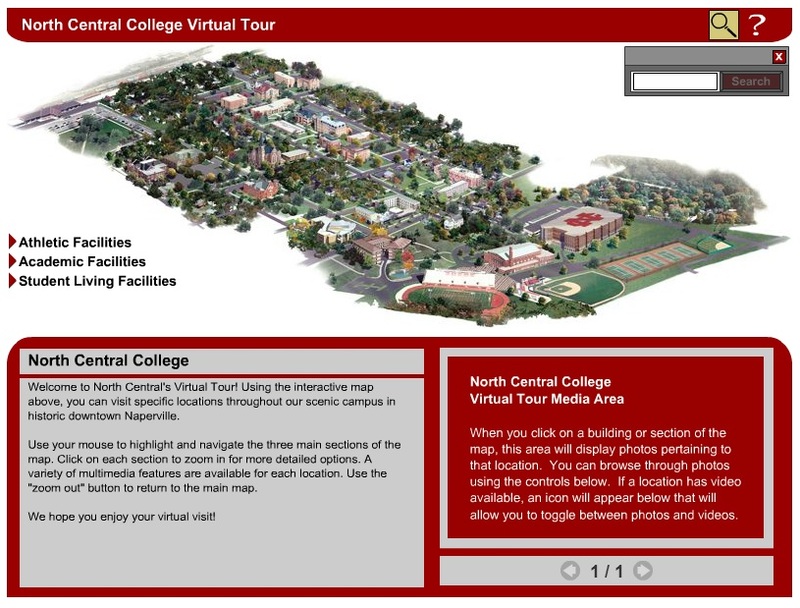 When you move your mouse to different areas of the campus and then click on a building, you will see information and photos related to that building. This is some of the same basic information that our tour guides will tell you on an actual walking tour. If you need help, find the question mark “?” at the top right corner for assistance. If you have additional questions, feel free to contact us at inadm@noctrl.edu at any time; and either the Admissions staff or I will be able to help you! This is the tool I personally used a lot when I was making my final college decision. There are many videos about the different events and activities on campus that can give you a sense of the community here. While the footage rolls you can get glimpses of buildings around campus like the dining hall or the classrooms – a virtual tour! It is also a great way to be updated with news from North Central! A few other things you can do: watch interviews of NCC alumni and their achievements, see how people interact, and watch our @PrezHammond speak! Here comes a shameless plug! (laugh) But really, subscribe to this blog, because the Office of Admissions and I work very closely to deliver the latest news and the most comprehensive image of campus life to you. Sometimes when our admission counselor, Megan Otermat, has plans to visit high schools/ community colleges around the USA and the world, I will post her schedule here so that you can catch her if she visits your city. While the blog is affiliated with the college, all opinions posted here by other current students or me are our own, and we commit to being honest about them. What other aspects of North Central College are you interested in learning about? Send us any suggestions you may have about other ways we can do virtual tours for you!